Why is the Calvin Cycle Considered a Dark Reaction? Are There Warning Signs Before a Dust Storm Occurs? Dust storms are common in desert areas. They occur whenever strong winds pick up large amounts of loose dirt and sand, reducing visibility to a half mile or less. Dust storms frequently happen during the hot, summer monsoon months, just before thunderstorms. An impending dust storm looks like a solid wall of debris and dust traveling on the horizon. They can be several miles long and thousands of feet high, which makes them easy to see. Dust storms move quickly. Other than seeing a wall of brown dust approaching in the distance, you will not have much warning before a dust storm arrives. However, they usually precede thunderstorms. If you see large thunderhead clouds and notice the wind is picking up, you can reasonably expect a dust storm to occur. Dust storms are especially hazardous to motorists because they greatly reduce visibility. If you are driving and notice a dust storm approaching, turn on your radio to listen for warnings and slow down. If visibility decreases below 300 feet, pull over and turn off your vehicle’s lights until the storm passes. When you see a dust storm approaching, go indoors if possible. 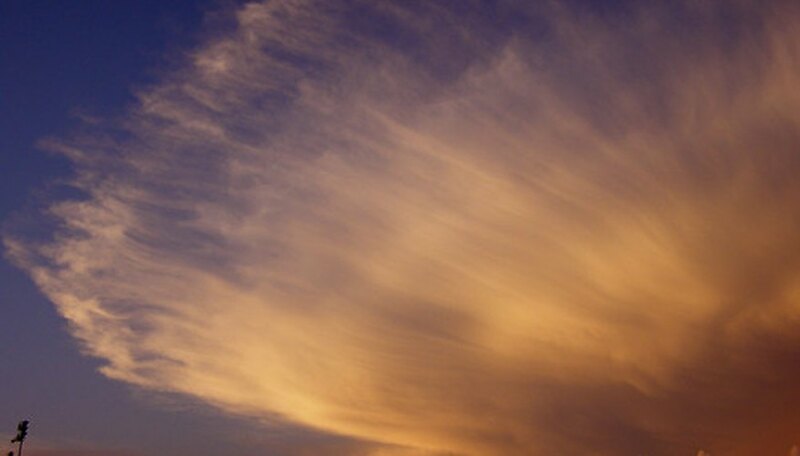 Dust storms are often accompanied by high winds that carry debris and cause damage. The dust can also pose health risks if it is inhaled or blows into your eyes. What Are the Causes of CO2 in a Home? Foote, Jenna. "Are There Warning Signs Before a Dust Storm Occurs?" Sciencing, https://sciencing.com/are-there-warning-signs-before-a-dust-storm-occurs-13419067.html. 21 July 2017. What Is an Anaerobic Environment?